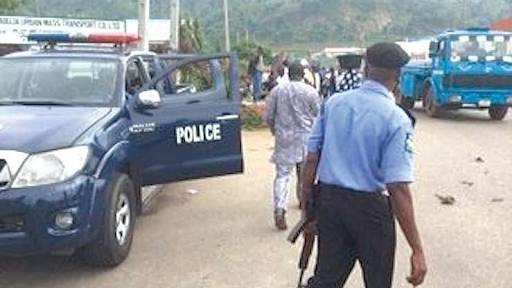 Local Government Area of Ebonyi State, as a 35-year-old man, Simon Ugbala, went berserk, killing his wife, two children and four others. He also injured four people. They are at the Accident and Emergency Unit of the Federal Teaching Hospital Abakaliki (FETHA). Ugbala, who is believed to be mentally-deranged, attacked several people with machetes before youths went after him and he ran into the bush. Police spokesperson Loveth Odah confirmed the incident. She said the command had launched a manhunt for the man. “On January 21, at about 2pm, a councillor from Ebonyi Local Government representing Onyikwa Ward, Mr. Friday Nwigube, came to Kpirikpiri Police Station and reported that Ugbala Simon, 35, suspected to be insane, went about inflicting machete cuts on people. “A combined team of detectives rushed to the village where they found several persons with deep machete cuts. They were taken to the Federal Teaching Hospital (FETHA), Abakaliki, where seven of the victims were confirmed dead by a doctor. Four others are receiving treatment, but are in a critical condition. Detectives and youths are looking for the man,” Odah said.